One of the most common reasons for wanting to keep the contents of two folders synchronised is to ensure that a backup copy of important files is also available. However, there are numerous other uses for synchronisation including using network storage to keep data synchronised between multiple computers. File syncing tools have a tendency to be very complicated affairs, but this is not the case with FreeFileSync. As the name would suggest, the program is available free of charge and it makes light work of ensuring that you always have copies of the latest version of the files you are working with in the folder you need them. A simple, unclutter interface means that setting up folder pairs is quick and painless and there are a range of file synchronisation options available. Files can be compared using the date of last access, or by performing a bit by bit comparison. There is no limit on the number of files that can be included in a synchronisation job so the program is suitable for even the most demanding of user. Batch jobs can be created to help automate the process of synchronising a large number of folder pairs, and the option to move files to the Recycle Bin rather than simply deleting them, means that a safety net is always available. 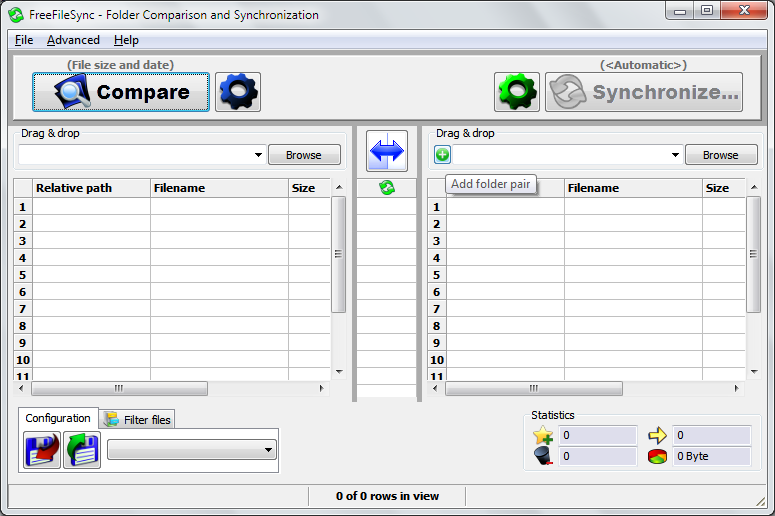 With fast operation and fast, simple setup, FreeFileSync enables you to synchronise files free of fuss. What's new in 10.11 (scroll down on this page to view the changelog)? A deceptively simple file synchronisation tool which is packed with features.